The Social Security Administration announced a 2.8% cost of living adjustment (COLA) that will benefit 63 million recipients starting January 20191. This adjustment marks the second consecutive year of COLA growth of two percent or greater. In 2017, the increase was 2.0%2. In 2015 and 2016, COLA increases were 0.0% and 0.3%, respectively. Beneficiaries include Americans who qualify for Social Security benefits, qualified current, divorced, or surviving spouses, disabled workers, and eligible dependents and family members. At Cornerstone, clients who currently receive Social Security income benefits view this monthly check as helpful, but not the primary source of covering retirement expenses. For many clients, although they tend to qualify for the higher benefit due to higher income during earning years, benefits represents less than 20% of income needed to maintain their chosen standard of living. Notifications of the 2.8% COLA will be sent to recipients by mail in early December. For the first time, Social Security recipients may also view these notices at www.socialsecurity.gov/myaccount. To find out if this tax applies to you, look closely at two factors. Your Social Security income could be taxed. That may seem unfair or unfathomable. Regardless of how you feel about it, it is a possibility. Only part of your Social Security income may be taxable, not all of it. This is good news for some. Two factors come into play here: your filing status and your combined income. If it appears your benefits will be taxed, what can you do? You could explore a few options to try and minimize the tax hit, but keep in mind that if your combined income is far greater than the $34,000 single filer and $44,000 joint filer thresholds, your chances of averting tax on Social Security income are slim. If your combined income is reasonably near the respective upper threshold, though, some moves might help. If you have a number of income-generating investments, you could opt to try and revise your portfolio so that less income and tax-exempt interest are produced annually. Part of our work with clients is to review this possibility. Will the income limits linked to taxation of Social Security benefits ever be raised? Retirees can only hope so, but with more baby boomers becoming eligible for Social Security, the I.R.S. and the Treasury stand to receive greater tax revenue with the current limits in place. If you would like to review options to help manage social security taxes, we welcome your call. This material was prepared by MarketingPro, Inc., and does not necessarily represent the views of the presenting party, nor their affiliates. This information has been derived from sources believed to be accurate. Please note – investing involves risk, and past performance is no guarantee of future results. The publisher is not engaged in rendering legal, accounting or other professional services. If assistance is needed, the reader is advised to engage the services of a competent professional. This information should not be construed as investment, tax or legal advice and may not be relied on for avoiding any Federal tax penalty. This is neither a solicitation nor recommendation to purchase or sell any investment or insurance product or service, and should not be relied upon as such. All indices are unmanaged and are not illustrative of any particular investment. http://www.cornerstonewmi.com/wp-content/uploads/When-Is-Social-Security-Income-Taxable.jpg 655 1140 admin http://www.cornerstonewmi.com/wp-content/uploads/logo.png admin2018-10-11 18:58:312018-10-19 19:02:05When Is Social Security Income Taxable? The transfer of assets when a spouse dies can be fairly simple—if you learn from my mistakes. I pride myself on keeping meticulous financial records. But since my wife died on Jan. 1, I discovered I had made some real rookie mistakes that led to hours of extra work and substantial fees. The transfer of assets between spouses can be fairly simple—if you learn from my mistakes. Dr. Lisa Jane Krenzel and I shared everything throughout our marriage. Like many couples, we split responsibilities. I paid the bills and made investments. She took care of our health insurance, plus the house. We maintained individual checking and savings accounts, as well as separate retirement accounts from various jobs throughout our careers. What went wrong? Issue One:When we opened those checking and savings accounts, we never named beneficiaries. I had assumed, incorrectly, that our accounts would simply transfer to the other in case of death. The banker who opened the accounts never suggested otherwise. With a named beneficiary, her accounts would have simply been folded into mine. Instead, I had to hire a lawyer—at $465 an hour—to petition the court to name me as the executor of her estate. I needed this power to transfer her accounts. Filing costs in New York City for the necessary document was $1,286. The running bill for the lawyer stands at $7,402.00, and I expect it to rise. I also needed the documents for the companies that managed her retirement accounts and a mutual fund, because, as at the bank, we never named a beneficiary. By the way, this paperwork also required signature guarantees or a notary seal, which can take up an afternoon. Issue Two: The highly charged question of funeral and burial. Last summer, when I was told Lisa would not survive this illness, I tried to raise the issue of burial with her. She refused to have the conversation, but I quietly went ahead and purchased a plot of graves in the cemetery in Wisconsin where my parents, grandparents and great-grandparents are buried. This was something I actually did right. We had to employ two funeral homes—one in New York and one in Wisconsin—and her body had to make the journey out there. All told, I spent $46,359 to cover funeral expenses, graves, transportation, a headstone and a basic casket. I noticed something interesting in this process. All of my fellow baby boomer friends I have since asked have so far refused to deal with the issue. They wince when I even raise the question. Hear me: You don’t want to have to make this decision at the time someone close to you dies. You simply are not thinking straight. Issue Three: Our health insurance plan covered the long hospital stays and doctors’ visits. However, shortly after Lisa died, I still received bills, even though our deductibles and copays had long since been covered. I paid them immediately, which was a mistake. I was incorrectly billed and I have been fighting the hospitals and insurance company since January to get a refund, even though everyone agrees the bills were incorrect. Before you pay any medical bills, make a simple call and determine their legitimacy. Mistakes are constant: The systems are so complicated, even people in these offices don’t always understand the intricacies. Issue Four:Lisa had two life-insurance policies—one through her work and the other we purchased privately. The former was handled quickly and efficiently by her job and a check arrived almost immediately. Although the insurance company sent me a check for her private policy soon after her death, it took three months of constant calls and emails to determine a refund of the premium I had already paid for three months past her death. I kept getting wrong information from the company, because the people I dealt with didn’t understand it themselves. Issue Five: Over the course of Lisa’s working life—from her first job at a fast-food restaurant to medicine—she paid more than $100,000 to Social Security. Since she died at 60, and our 19-year-old daughter is one year past the age of receiving a monthly benefit, all this money has simply disappeared into the lockbox in Washington. Nothing you can do about this one. Finally, there is the major psychological trauma of grief. I think most people believe death will never intrude on their lives and when it does, we will be so old and decrepit that it won’t much matter. Trust me on this—even when it’s been expected for a while, it still shocks deeply. There is absolutely no way you can prepare yourself for the shattering heartbreak of loss. When it did come to me, I found the support of friends, family and faith to be invaluable. Amazingly, that cost nothing. Mr. Kozak is the author of “LeMay: The Life and Wars of General Curtis LeMay” (Regnery, 2009). Appeared in the April 28, 2018, print edition. CA Insurance Lic# 0D92796 & Lic# 0G10586. Rich Arzaga and David Winkler are registered representative with, and Securities and Advisory services offered through, LPL Financial, a registered investment advisor, Member FINRA/SIPC. Financial planning is offered through Cornerstone Wealth Management, Inc. a registered investment advisor and a separate entity from LPL Financial. The information contained in this e-mail message is being transmitted to and is intended for the use of only the individual(s) to whom it is addressed. If the reader of this message is not the intended recipient, you are hereby advised that any dissemination, distribution or copying of this message is strictly prohibited. If you have received this message in error, please immediately delete. This article was prepared by a third party for information purposes only. It is not intended to provide specific advice or recommendations for any individual. The most meaningful measure of how well we’re serving our clients is whether we exceed their expectations in delivering the value and commitment they need to pursue their life and financial goals. That’s why I wanted to share with you the news that LPL and its affiliated advisors, including Cornerstone Wealth Management, were recently ranked No. 1 in customer loyalty among 21 leading financial distributor firms. It means a great deal for us to be part of a network that’s a recognized industry leader in providing quality personal service—and it’s an even greater honor that LPL has risen in these rankings in each of the past three years. In addition, LPL ranked No. 1 in the likelihood of its investors recommending the firm and its advisors to their friends, families, and colleagues. 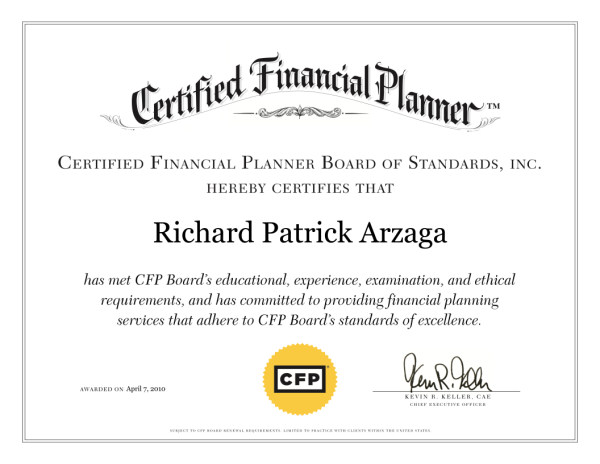 As an advisors affiliated with LPL Financial, I we are proud of this recognition by investors of the value of the objective financial advice we offer to help clients pursue their goals, and of the innovative products and services our affiliation with LPL allows us to provide access to. I appreciate the opportunity to partner with you, and I look forward to our continued work together. Thank you for your business. This letter was prepared by LPL Financial LLC. This is not a recommendation to purchase, or an endorsement of, LPL Financial stock. LPL Financial and Cogent are unaffiliated entities. *Market Strategies International, Cogent Wealth Reports, “Investor Brand Builder™: Maximize Purchase Intent Among Investors and Expand Client Relationships,” November 2017. ABOUT THE REPORT: Market Strategies International’s Cogent Wealth Reports: Investor Brand Builder™ provides a holistic view of key trends affecting the affluent investor marketplace. The November 2017 report is based on a web survey of over 4,000 affluent investors, who hold $100,000 or more in investable assets. A total of n=82 LPL advisor clients were represented in the study. Customer Loyalty is based on how likely the participant would recommend each of their investment account companies to friends, family, or colleagues. Participants also evaluate their investment account companies using a 5-point rating scale across 10 aspects of client experience. In monitoring your Social Security profile, you may help to thwart fraud. Could your personal information soon be stolen? The possibility cannot be dismissed. Sensitive financial and medical data pertaining to your life may not be as safe as you think, and thieves may turn to a vast resource to try and mine it – the Social Security Administration. The more you reflect on all this, the more you realize that cybercrooks could take advantage of you by creating a bogus online Social Security account in your name, in order to steal your benefits and/or your personal data. Setting up a MySSA account is easy; the first step is to visit ssa.gov. Whether you have an existing account or not, you will want to review your mailing address, date of birth, and other essential pieces of information. If they are not correct, they demand attention. Establish an online Social Security account and keep checking it. In logging on regularly, you may do your part to help the SSA detect and ward off criminals who could use your identity to collect or file for benefits. This material was prepared by MarketingPro, Inc., and does not necessarily represent the views of the presenting party, nor their affiliates. This information has been derived from sources believed to be accurate. Please note – investing involves risk, and past performance is no guarantee of future results. The publisher is not engaged in rendering legal, accounting or other professional services. If assistance is needed, the reader is advised to engage the services of a competent professional. This information should not be construed as investment, tax or legal advice and may not be relied on for the purpose of avoiding any Federal tax penalty. This is neither a solicitation nor recommendation to purchase or sell any investment or insurance product or service, and should not be relied upon as such. All indices are unmanaged and are not illustrative of any particular investment. This is the time to arrange lifelong health coverage. Age 64 is the age when you are reminded that you are a baby boomer growing older. Regardless of how young or old you feel at 64, you should make sure to sign up for Medicare. Are you currently covered under an employer or former employer’s health plan? If so, you may qualify for a special enrollment period. On the other hand, you may not. You will need to decide what types of coverage you prefer. Parts A and B are the basic parts of Medicare. (Sometimes they are simply referred to as “Original Medicare.”) Part A is hospital insurance, and Part B is medical insurance. Contact a Medicare specialist before you enroll. Even with its user-friendly website and plenty of online third-party guides to help those new to it, Medicare remains intricate; its nuances, hard to grasp. A financial or insurance professional well versed in Medicare enrollment, benefits, and regulations may make the process simpler for you. Earning too much may cause portions of your retirement benefits to be taxed. You may be shocked to learn that part of your Social Security income could be taxed. If your provisional income exceeds a certain level, that will happen. Just what is “provisional income”? The Social Security Administration defines it with a formula. Income from working, pension income, withdrawals of money from IRAs and other types of retirement plans, and interest earned by certain kinds of fixed-income investment vehicles all figure into this formula. If you fail to manage your provisional income in retirement, it may top the threshold at which Social Security benefits become taxable. This could drastically affect the amount of spending power you have, and it could force you to withdraw more money than you expect in order to cover taxes. Where is the provisional income threshold set? The answer to that question depends on your filing status. The provisional income thresholds have never been adjusted for inflation. Since Social Security needs more money flowing into its coffers rather than less, it is doubtful they will be reset anytime in the future. How can you plan to avoid hitting the provisional income thresholds? First, be wary of potential jumps in income, such as the kind that might result from selling a lot of stock, converting a traditional IRA to a Roth IRA, or taking a large lump-sum payout from a retirement account. Second, you could plan to reduce or shelter the amount of income that your investments return. Three, you could try to accelerate income into one tax year or push it off into another tax year. Consult with a financial professional to explore strategies that might help you reduce your provisional income. You may have more options for doing so than you think. * Cornerstone earned this distinction in 2008 by being nominated by Worth Magazine readers and industry peers, and then being selected by Worth editors based on attributes including credentials, approaches to customer service, portfolio management and risk, as well as insights into the current investment environment. CA insurance licenses 0D92796, 0G10586 and 0M15227. © Copyright 2019 - Cornerstone Wealth Management, Inc. All rights reserved.